What is a Public Official Bond in Kansas? A Public Official Bond is a type of license bond. The purpose of the bond is to protect the state or governmental entity for certain things, such as the payment of taxes. How Much does a Public Official Bond Cost in Kansas? How do I get a Public Official Bond? We make it easy to get a Public Official Bond in Kansas. Fill out the form above and we’ll get right on this for you. Then we’ll get the Public Official Bond right out to you. Easy. It is highly essential to lots of professional services and construction businesses to obtain license and permit bonds. It is as the government usually requires permit bonds to all business methods involving a consumer. You must get the bond to acquire the license or permit for your business. 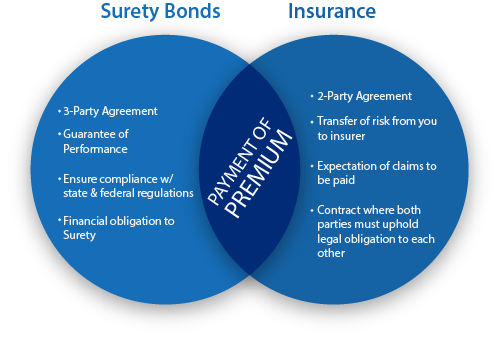 The surety bond enables a consumer to file a case against a contractor in case of non-compliance and recover certain sum of money for the insured portion of the project. In case the contractor fails to deliver the required project result, he or she shall face legal action. If you’d like to understand more on how to acquire a permit bond, here are some of the essential facts that you must consider. The most common type of bond is the license and permit surety bond. This bond is very necessary. Before any company or professional begins their operation, it is essential to get a license to operate first. Before beginning your operation, it’s important to know first certain requirements of the government connected to your company or profession. In order to get a complete information on what you must do, you will need to get a license and permit bonds. These bonds explain all the governing rules that you have to adhere to, helping you avoid the substantial consequences that you could face when you violate them. Using this license and surety bond, you can get your license or permit to run your company in Kansas. A contractor license bond is one of the major types of a license and permit bonds. If you’d like to ensure that you get a satisfactory project, including a building, it’s very important to have a performance bond. When you hire a contractor to create a building for you, you will need assurance that he or she will offer you the exact results you anticipate. The construction can be successful in lots of cases because of the indemnity of a performance bond. In addition, you’ll still be paid out for a certain proportion of the project should it break down, and even get another contractor to carry on the project. The amount they will get in case the project fails is stated in the performance bond. To know further the necessity for permit bonds, here are some of its advantages. License bonds are used to restrict the processes of various organizations, ensuring that they’re in conformity with the existing laws. To ensure that a contractor or a specialist business to function in a certain location, these laws should be adhered to. The government in Kansas will require that each business has the license and permit bond. This helps the clientele to have a secured infrastructure project. The main purpose of permit bonds is to ensure the consumers that they’re going to receive quality service or project result. It’s consequently crucial for contractors to be sure that they meet project requirements and supply the same. If they do, the customer will not suffer any loss. Instead, the bond will act as insurance to protect the client from poor service. It is not difficult to apply for a license and permit bond as long as you comply with the right processes. Here’s a list of approved methods that you will need to follow when obtaining you license and permit bonds. Filling out the application form is the first step that you must do. You could very easily acquire this online application form by using the online platform of an approved forum. This implies that you must not only choose a platform that has the application form, but also ensure that it has verification. Aside from correctness and completeness, you also need to make sure the truthfulness of the information you put in the form. The quote might help you understand any payments that you’ve got to make and the amount. As a result, the amount you should pay for the bond is already offered in the quote. The quote only comes after you apply and your application is successful. After obtaining a quote, the next step could be the actual payment. You can only obtain a license and permit bond after you have paid the issuing company. Do not attempt to fabricate the info you will provide to the bond. The honest info you provide will keep you out of trouble. Keep in mind that the government is skeptic with regards to legal documents. So even though you do not have an excellent credit score, it’s still essential that you provide the correct data to your surety bond. The rates of bonds may vary with regards to the type of bond that you have to obtain. Nonetheless, you will only be asked to pay certain amount with respect to the insured portion of the whole project cost. The most typical rate is about 1% of the insured portion mentioned in the bond. In case of non-compliance to give what they need, the bond allows your consumer to file a case against you. The bond is, as a result, an insurance which you pay in behalf of the clients to ensure them that you’ll provide the service or infrastructure project they need. After you have finished reading this article, you need to be able to know now the need and benefits of acquiring license and permit bonds for your infrastructure projects. Applying for the right kind of surety bond is essential in ensuring that you have the right approval. See our Kansas Receiver Bond page here.